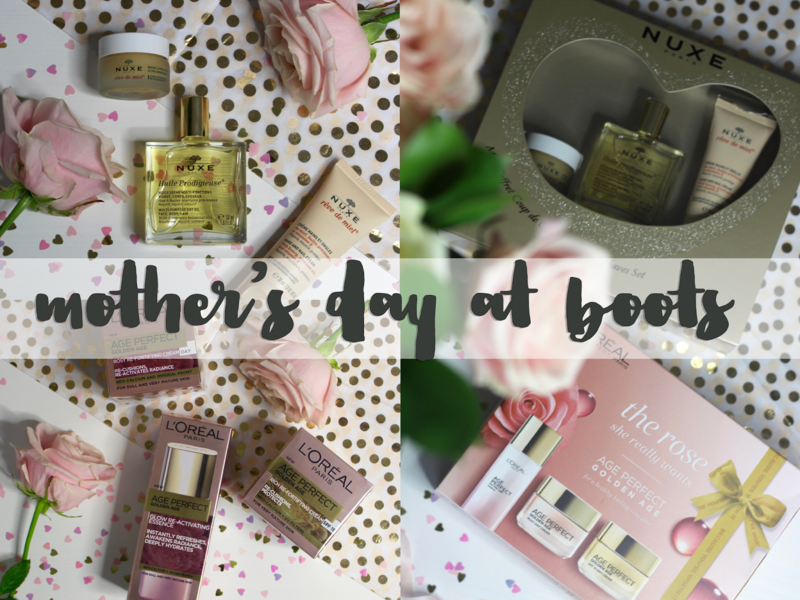 Although the actual date of Mother's Day changes each year, it's of course always on a Sunday, which is handy if you've left things to the last minute as you can pop to the shops on the Saturday! Boots is always a good place to go for a last minute Mother's Day present, and this year you'll find plenty of specially designed gift sets like these from NUXE and L'Oreal. 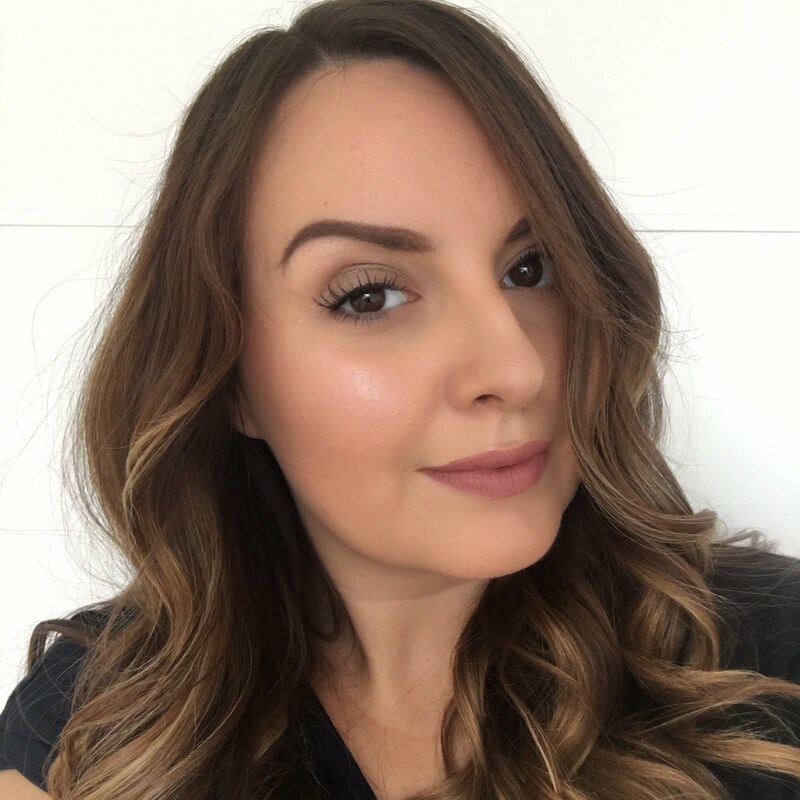 NUXE Reve de Miel ultra nourishing lip balm - I've owned this lip balm in the past and really should have repurchased it because it's pretty amazing. It's so soothing and replenishing for dry and damaged lips, and the little pot lasts absolutely ages. 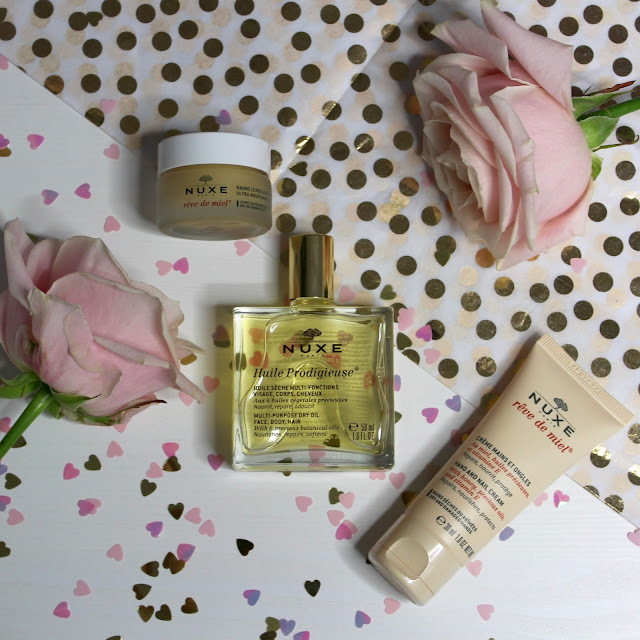 NUXE Reve de Miel hand and nail cream with honey - also in the Reve de Miel range is this honey and vitamin E hand cream which smells delightfully sweet and floral and is the perfect handbag size. 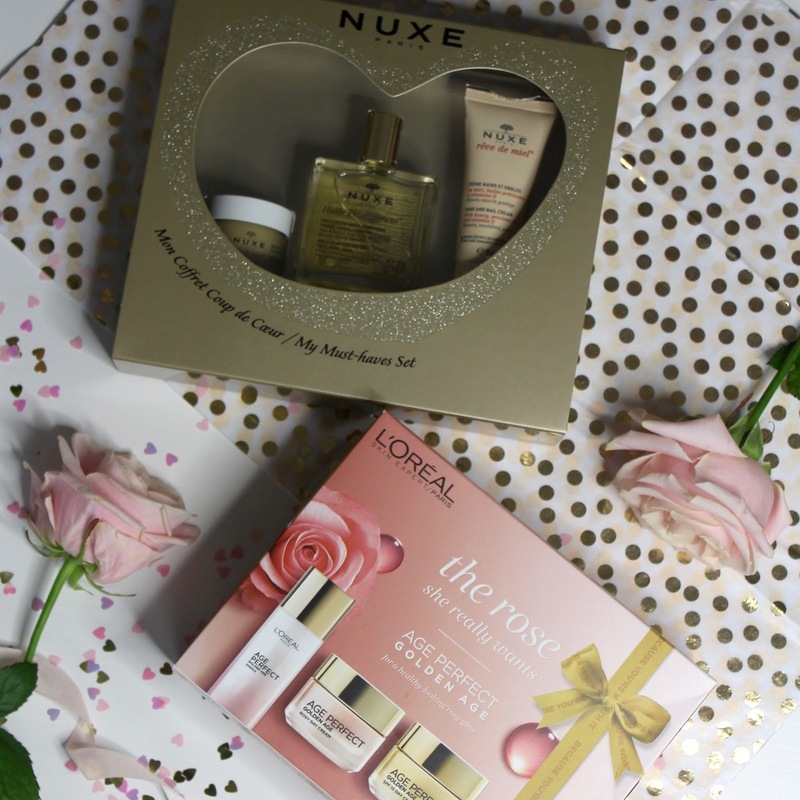 NUXE Huile Prodigieuse multi purpose dry oil for face and body - possibly the product NUXE is most known for is their nourishing oil with macadamia, hazelnut, almond, vitamin E and more, which can be used on the face, body and even hair to repair and soften. 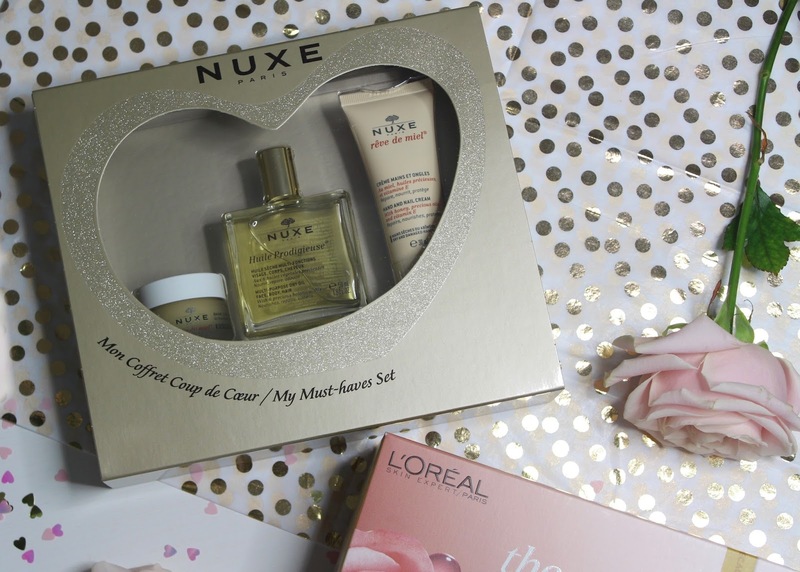 This set costs £20 and there's also currently an offer where you save £5 when you spend £30 across the NUXE range. 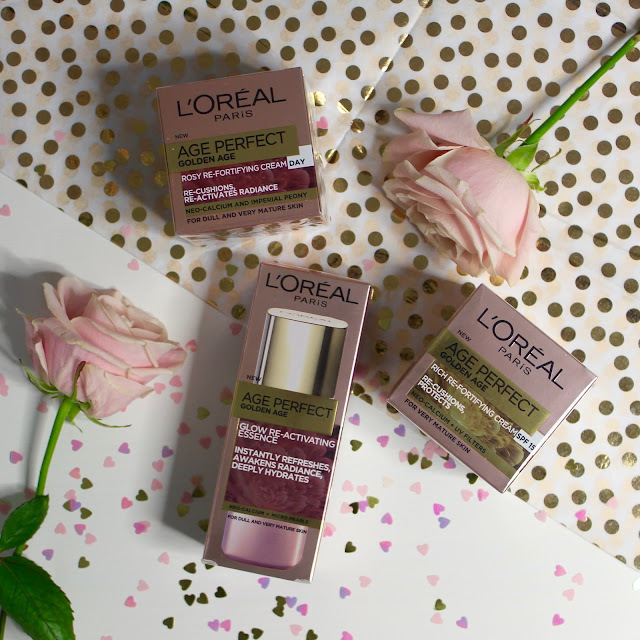 The Golden Age gift set from L'Oreal is designed for mature skin, and before your Mum protests any possible offence at the presentation of a gift for a 'mature' lady, she should note that the face of the range is Helen Mirren who's seventy and looks absolutely stunning! The kit contains three full size products from the age perfect range including the glow re-activating essence (you apply this before moisturiser as you would a serum) which contains neo-calcium and micro pearls to make the skin look fresh, radiant and more rested. 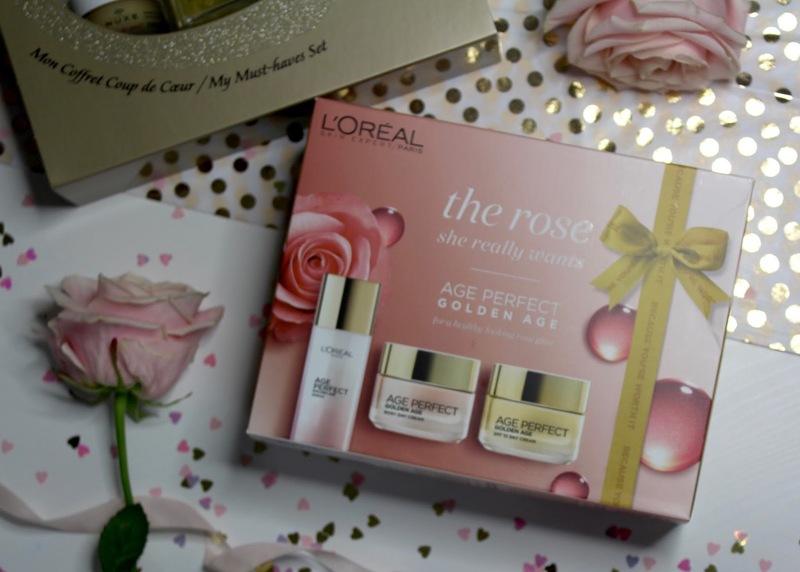 You also get the rosy re-fortifying day cream which gives skin a healthy rosy glow as well as re-cushioning the skin and restoring structure. Lastly the kit also contains the rich re-fortifying day cream with SPF 15 which is also designed to restore skin's structure whilst also protecting from UVA and UVB rays which amongst other things, can cause sagging skin. I'm interested to see how my Mum gets on with these - she's a bit of a skincare addict... that must be where I get it from! This gift set is currently on a half price offer at £20. What will you be giving your Mum for Mother's Day?